Home › News › What does the new EU geoblocking policy mean for Europeans? In February 2018 the European Union adopted a new policy concerning ‘unjustified’ geoblocking within the EU. What does the new law entail, and how will it affect European VPN users? The European Union (rightly so, we believe) has been increasingly worried about online customer protection. Especially where the EU’s internal borders are concerned. Most of the physical trade between EU countries crosses borders without much ado. But digital services, much to the chagrin of expats and tourists, grind to a halt once a customer travels abroad. Suddenly, your local Netflix isn’t available anymore, ebooks from your local library won’t load. And you’re denied to buy stuff online that have local discounts. In short: digital content services don’t leave the country with you, even though you are paying subscription fees. The reason behind it is the service actively blocks its channels for people outside of a specific region. This ‘geoblocking’ practice was a thorn in the EU’s side. It has a strategic commitment to a digital single market, and geoblocking based on internal borders doesn’t quite fit the bill. Hence EU Regulation 2018/302, which addresses ‘unjustified online sales discrimination’ based on a customer’s nationality, place of residence, or place of establishment. In other words: companies can’t deny or restrict access of EU customers to their online services or sales channels anymore! What does the change mean for VPN users? The new EU Regulation goes is effective from December 3rd 2018 on. After that date, all service providers should have ended their geoblocking practices for EU consumers. How this will play out practically remains to be seen. But theoretically every German should be able to enjoy his or her countries’ paid services while in France or Holland, and vice versa. There are some exceptions to the rule (free streaming services are excluded from the Regulation. For instance, and the situation on services from Great Britain are dependent on the outcome of Brexit), but basically the geo-blocking days of EU service providers are over. Now how does this affect VPN users? Online, people have voiced their worries about the new Regulation putting an end to their beloved practice of geo-block circumvention. With VPN, any consumer can mimic a local user to gain access to online services abroad. Rest assured, the EU regulation doesn’t concern itself with this practice: VPN users currently aren’t in any way liable to prosecution, and only need to heed the house rules of individual providers, like they always have. In short, EU Regulation 2018/302 means progress for EU citizens, who profit from a digital single market, independent of their use of VPN. 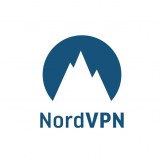 For more info on VPN, we’ve made a list of the Top 10 VPN providers.